On behalf of admin of JML Law, A Professional Law Corporation posted in Elder Abuse on Friday, May 12 2017. Many attorneys in LA are aware of the increasing amount of physical, verbal, and financial abuse among California’s older population. These are real battles that the elderly, who already have little or no physical strength, are forced to fight on their own. Financial abuse and neglect are some of the most prevalent forms of abuse. There are laws in Los Angeles that protect its older citizens from any type of abuse. Contact a Los Angeles elder abuse lawyer if you suspect someone in your family is being abused. The older population are an easy target for thefts and exploitation. One of the common forms of elder abuse is cashing a check without the older person’s consent. Some people may steal these checks and falsify them. Possessions are also stolen from the elderly and they may also be forced into signing important documents such as contracts, wills, etc. 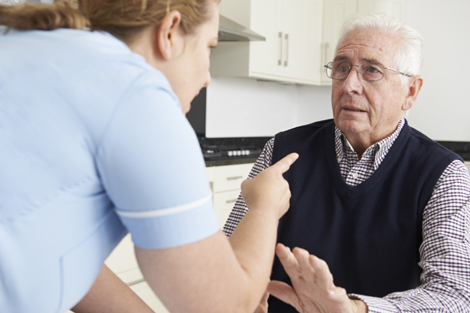 Physical abuse is very common in nursing homes and assisted living facilities but it can also come from any individual in contact with the elder patient. Emotional abuse, on the other hand, may be more subtle. The victim will become isolated due to the insults or threats they are dealing with. This will lead to less noticeable signs such as anxiety, seclusion, and confusion. Neglect is one of the most common types of elder abuse as oftentimes caretakers don’t fulfill their duties as they should. Pressure marks, abrasions, bruises and broken bones. Depression may be an indicator of emotional abuse. Tense relationships, and arguments with the caregiver. Poor hygiene and neglected medical needs. Be aware that the senior may not talk therefore you may have to ask what’s going on and report the abuse. It’s not your responsibility to investigate the abuse but to contact someone qualified to do so. Under California law, individuals or companies who exploit the elderly should be penalized. These cases are taken to a Los Angeles elder abuse attorney by either the victim or a loved one, even if the abuse was discovered after the victim’s death. The family is entitled to compensatory damages as long as they can prove the abuse happened. The victim may also receive compensation for pain and suffering. If you loved one has been neglected in a nursing home or suffered physical, emotional, and financial abuse, contact JML Law and file your nursing home or elderly abuse case with us today. Our attorneys have access to records that can prove the abuse occurred. Whether at the nursing home, recovery facility or at home, we are here to investigate your case and make sure you are rightfully compensated.